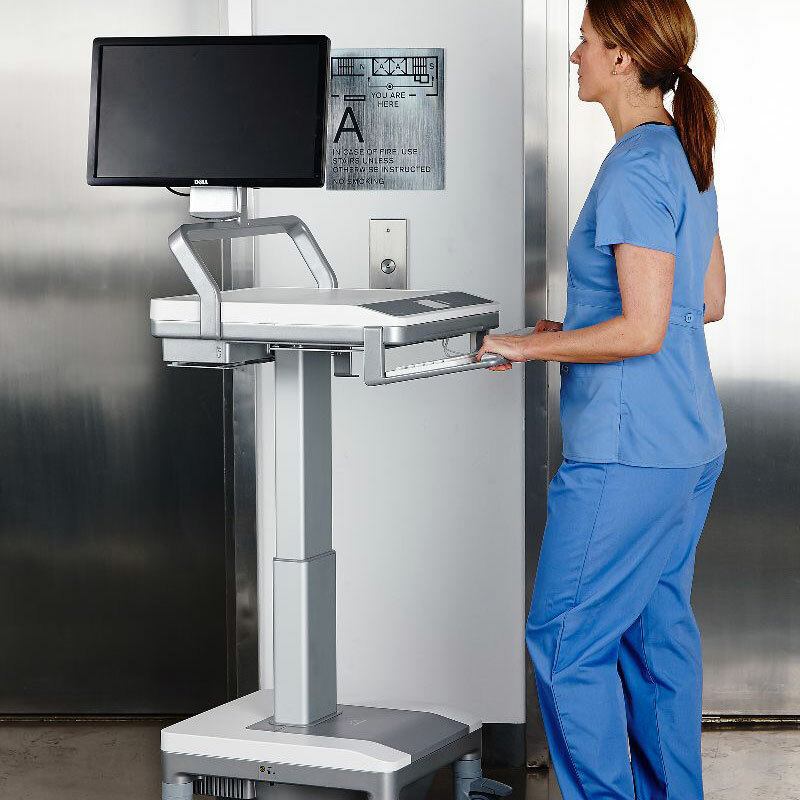 Built for exceptionally intuitive one-hand operation, the T7 is a revolutionary innovation in the TouchPoint line of medical technology carts. Its Auto Fit™ technology instantly adjusts to each caregiver’s entered height, while its Power Track™ steering allows for virtually effortless manoeuvring and complete user control. With a beautifully simple design, the T7 makes cleaning easy and promotes a healing environment. 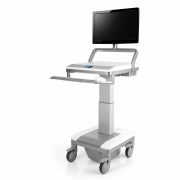 The brilliance of the T7 technology cart is its ability to centralise all the digital tools of the healthcare environment. With a monitor arm that delivers 15 degrees of tilt and 90 degrees of rotation, and with long life batteries, the T7 facilitates more comfortable patient care.